The dream boat you’ve sought since your first big job is at its slip. You’ve been diligent at mainte­nance and you’ve babied it. Memories are made on board every weekend (and some weeknights). But as you watch the radar and see the big mutli-col­ored thunderstorm blobs move across the screen from west to east, you can’t help but get nervous. That isn’t the time to be wondering if you have the right insurance on that dream boat. For this issue, we’ve asked an expert in boating insurance to share his tips and advice on what to look for and what to avoid when it comes to your policy. Q: How does boat insurance differ from auto or home? A: If your question is whether or not a boat be­longs on an endorsement to a Homeowners policy, or, if it belongs on a Boat policy; the answer is simply this: If the boat will ever leave your garage you need a boat policy. Any time a boat is endorsed onto a homeowners policy, the coverage is usually strictly physical damage coverage and on an acv basis. In other words, you would be lacking the accidental fuel spill coverage, the medical payment coverage, the personal property coverage and the big coverages such as wreck removal and salvage and mechanical breakdown. So, I recommend you purchase a boat policy, or a yacht policy. By the way, there are lots of vvays boat insurance differs from home and auto insurance. The primary ways are that boat policies contain warranties. Warranties are agreements contained in the boat policy (or yacht policy), and if an insured should break ( or breach) one of these warranties, then coverage provided by the policy would become void. For example, there is a private pleasure use warranty. There is a navigation area warranty. There may be a winter lay-up period warranty. And, the companies you should avoid using typical­ly contain a warranty your boat will be maintained in seaworthy condition. Essentially, if the company determines your boat was not in seaworthy con­dition at the time of loss, their policy will not pay. I recommend you purchase a boat policy that does not have that warranty. 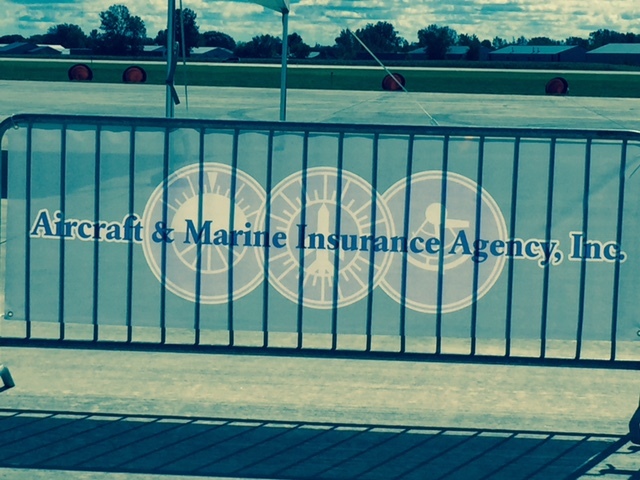 There are several boat insurance companies policies that do contain that warranty. Q: What questions should a boater ask when shopping for marine insurance? A: They should ask their agent if the agent is comfortable and knowledgeable with boat insur­ance. They should ask the agent which insurance company has the best reputation for paying claims fairly and promptly. They should ask which com­pany provides all the key special coverage such as Wreck Removal Coverage and Salvage Coverage and Mechanical Breakdown Coverage. Typically no one asks how the loss settlement clause reads of a particular boat insurance policy. I know this can have a significant impact on how much money a company will pay for a particular claim. For example; If there were to be damage to a boats outdrive unit; will the company be paying based on the cost of an OEM outdrive, or, a remanufactured outdrive unit (from the original manufacturer), or, will it be based on the cost of a copy of an OEM outdrive that was made in China. Trust me, there are big differences in price and this will make a big difference in the dollar amount your insurance policy will pay you. Generally speaking, at least make sure you are buying an “Agreed Value” policy, and make sure you are buying a policy with Salvage Coverage, Wreck Removal Coverage and Mechanical Breakdown Coverage. Q: What’s the difference between Boat and Yacht Insurance? A: Generally the difference is found in the liability section of the policy. The small boat policy will have watercraft liability; which is providing coverage for the physical damage or the bodily injury you may become legally responsible for, arising out of the use and operation of your boat. But, Aircraft-Marine Insurance both Boat and Yacht policies should have wreck removal and accidental fuel spill coverage. A yacht policy generally adds coverage for US longshoreman and Harbor workers Act coverage and may also have coverage for a paid captain and paid crew. This is called Jones Act coverage, and this is insurance that is needed if you hire someone to captain your yacht or essentially be a paid employee on your yacht. It is much like workers compensation coverage. But, it is actually more broad and is a subject in itself. If you are paying someone to work on your boat and they sustain an injury while in the course of their duties aboard your boat, watch out. Big money. Medical payments, lost wages, pain and suffering; it can become extremely expensive. Q: What common mistakes do you see when boaters buy coverage? line end up with an actual cash value policy and they rarely understand what that means. And, ironically, you could probably find better coverage at a better price through a knowledgeable boat insurance agent. Q: What pitfalls should boater’s be aware of when shopping for coverage? A: Don’t make the mistake of thinking boat insur­ance is boat insurance. As I mentioned earlier, the biggest mistake would be thinking boat insurance is a commodity. Broccoli may be a commodity, but boat insurance policies certainly are not. And every company online is dumping your informa­tion into a comparative rating tool and telling you where the lowest price is. But, that does not mean the lowest price is the policy you should purchase. For example, if you purchased a nice new boat with twin 250 horsepower outboard engines and you then went for a ride on the lake and the engines ingested debris and ruined the engines, you would discover most boat policies do not pay for mechanical damage to the engines. However, some do. What would not having a policy that provided mechanical breakdown coverage mean in this example. The answer is one company’s policy pays zero. But another company’s policy would pay for the cost of new engines. Maybe $30,000 each. Maybe $60,000 in total. I consider $60,000 to be a very significant difference. And, I view my job as making the customer aware of this very important information when they decide which boat insurance policy to purchase. Q: What should a boater with coverage look for in an existing policy to make sure their coverage is adequate? A: Everything already mentioned. Confirm if you have an agreed value policy. Confirm if the insured value is correct. Confirm if the navigation area is correctly addressed. Also confirm if you have all the critical coverage’s including wreck removal and salvage and mechanical breakdown. Did you correctly identify if you have any business use? Do you have a paid person working on your boat?. … and, is the LIMIT of LIABILITY coverage (or, Protection and Indemnity Coverage) adequate to protect all the rest of your assets including prop­erties, savings and investments and don’t forget to protect your future earnings because having your earnings and wages attached can be a dreadful reality. Also, review if you have an Umbrella policy. And if you do, check what the underlying coverage limit requirement is. The list is a pretty lengthy list. You really need to concentrate on just one thing. Get a knowledgeable marine insurance agent. One thing is for certain, it’s not about mak­ing sure you’ve received a “paid in full discount” or whatever the discount Du Jour is. It is, however, about purchasing the coverage’s that will protect your boat as well as all the other assets you have. 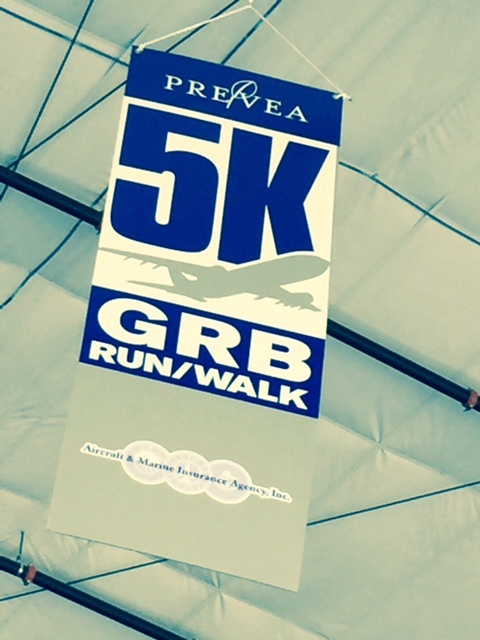 Aircraft & Marine Insurance was a 2015 co-sponsor for the Prevea 5K GRB! It was a fun event with food, music and, of course, running down a runway. Here are some photos from the event! 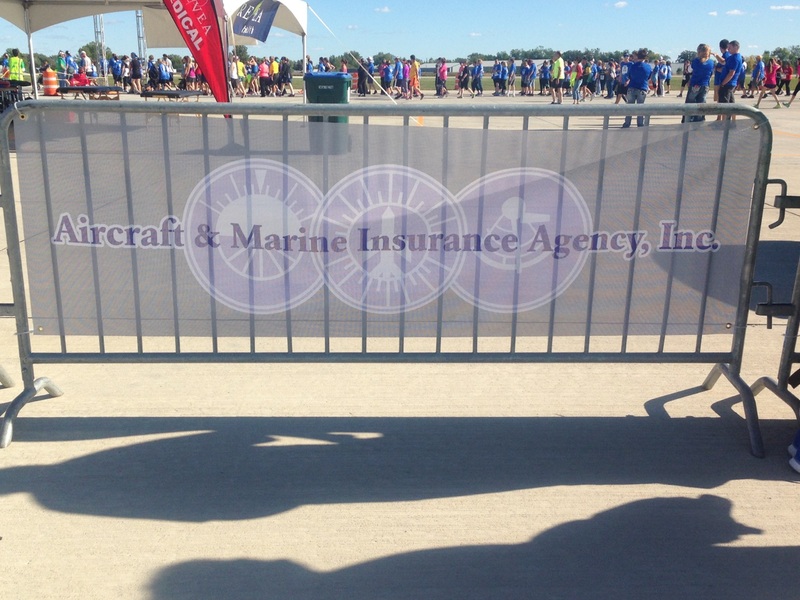 A couple of us from Aircraft & Marine Insurance were able to attend the AOPA Fly-in in Minneapolis this year. 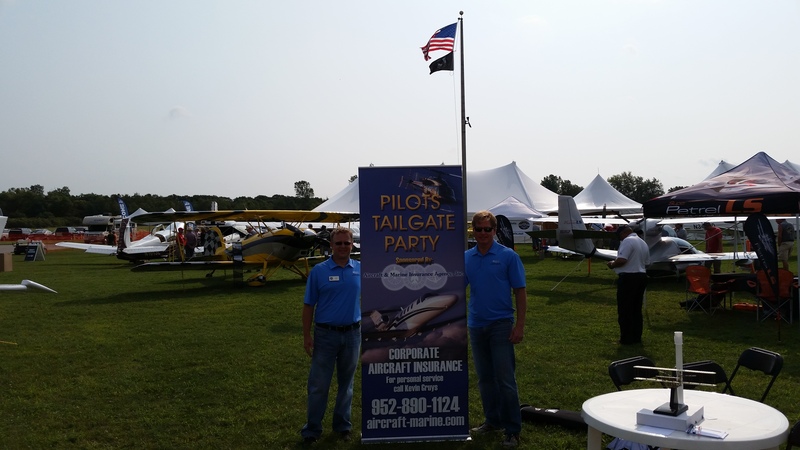 There are several AOPA fly-ins around the country each year, and there’s always food and fun to be had along with a celebration of aviation! Here are Justin Wulf (left) and Kevin Gruys (right) at the event. Here are some facts and figures about recreational boating in the United States. Did you think the Midwest would be the top area for recreational boaters? These numbers are from the 2011 National Recreational Boating Survey done be the U.S. Coast Guard’s Boating Safety Division. For more numbers, check out their survey. Note: Click the image for the full-size version. Much of the country is in the midst of one of the coldest winters we’ve seen in a long time, but don’t let that stop you from hopping on your plane and finding some fun. The question is: where to go? We put together a list of destinations that may tempt you to take a flight this weekend. 1. 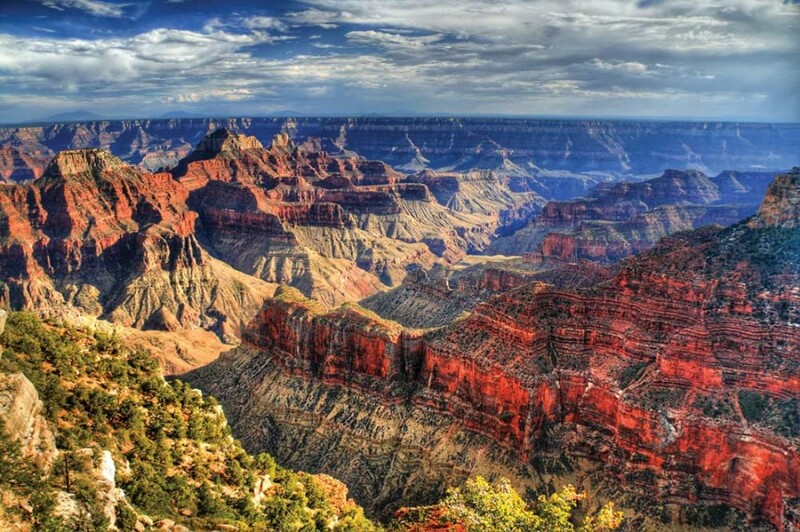 Grand Canyon – You may have visited the Grand Canyon before, but have you seen it from the air? It will be hard to see as much as you can of one of the seven wonders of the world since it ranges 277 miles long, but you can certainly try. There is no landing fee at Grand Canyon National Airport, so that is an added bonus. 2. Lake Placid/Kiwassa Lake, Adirondacks, N.Y. – If you’re looking for a more zen-like location, there’s no other place like Lake Placid. The area hosts many resorts and is also great if you have a seaplane, allowing you to land directly on any of the 23 miles of Adirondacks waterways. 3. Jackson Hole, WY – If you’re not too concerned about the cold, try Jackson Hole at this time of the year. Hiking the scenic Tetons are a wonderful way to get away from the city, plus the city boasts chuck wagons to get your fill of steak and comfort food. 4. Nashville, TN – There’s New York and L.A., but there’s also Nashville in terms of the music industry. Walk into an establishment on any given evening, and you will be sure to find some of the best musicians jamming. 5. Kansas City, MO – Some people consider Kansas City a flyover area, but it is home to some of the best and most authentic barbeque in the United States. Check out Arthur Bryant’s and Jack Stack Barbeque; they will have you licking your fingers clean. As a pilot, you have access to a fun weekend with some of the most amazing places. So grab your camera and suitcase, and gas up that plane. Does putting away your boat for the winter season give you the blues? 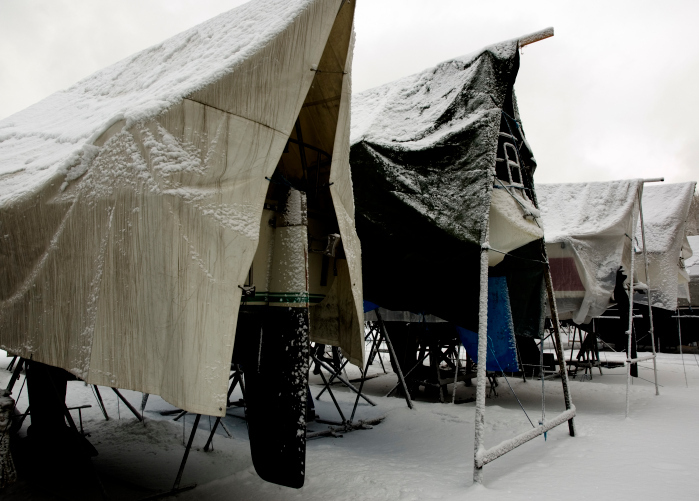 Unless you’re a snow and cold lover, you probably dream about getting your boat back out all winter long. Luckily, there are some things boaters can do in the wintertime to enjoy boats, even when yours is in storage. Here are our tips for feeding your love of boating throughout the off-season. Looking for a better boat insurance policy from a company you can trust? Let us give you a quote! Did you know that learning something new is one of the top ten resolutions people make for the new year? So for those looking for a new hobby, why not take up learning how to pilot a plane? To help you on your way, here is a quick list to coax you into taking to the air. Safety first – Vow to always be safe in the air, and in turn keeping any passengers you may have safe, by always following procedures that are necessary before taking off. Have a pre-flight list prepared and use it; soon it will be second nature. Maintain your aircraft properly – Just like anything other machine, airplanes require maintenance every now and again. Do maintenance after and before every flight, including every few months. Keep a schedule of when something needs to be replaced. Get more education – Even if you’ve just taken the license test and have crammed your mind full, there’s always something new to learn. Talk to other pilots or read a book on flight and see what else you can learn. 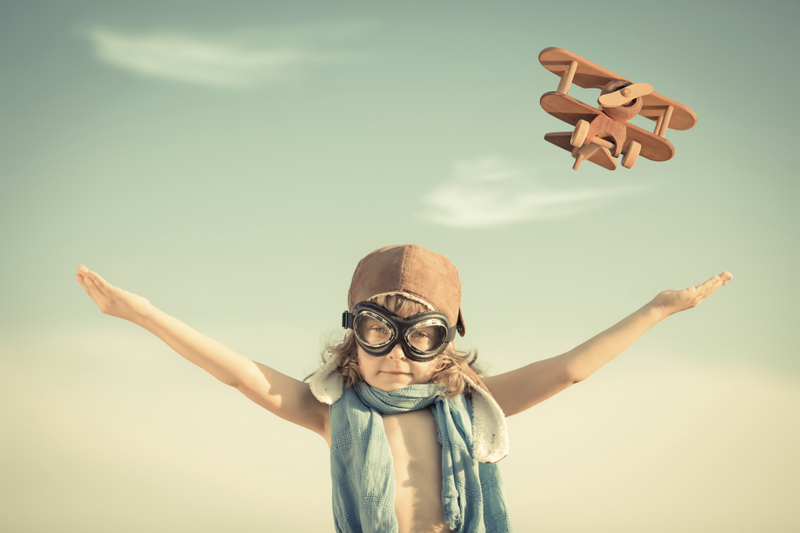 Have fun – Why did you get a pilot’s license? Just like in life, make sure that what you are doing is enjoyable. There may be a lot that goes into piloting an airplane, but that doesn’t mean that you have to forget about getting the most out of it. 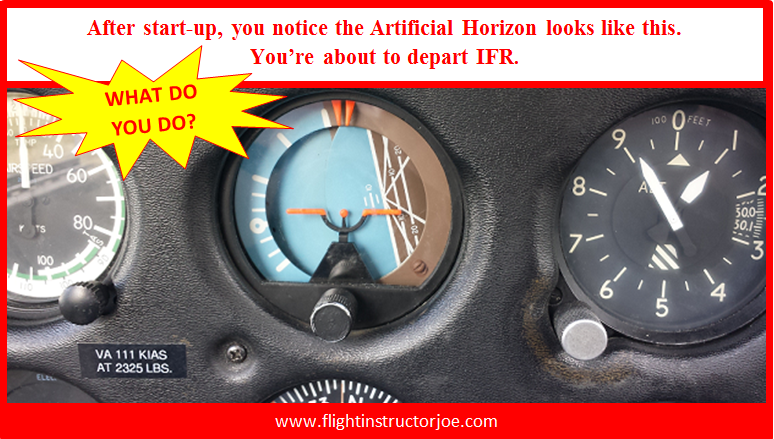 In a recent blog post by Flight Instructor Joe over at flightinstructorjoe.com, he posted the picture of an askew Artificial Horizon just after start-up, and asks a question: Do you know what to look for when you’re about to complete an IFR flight? For an IFR flight, you must be sure that your instruments are all functioning properly, as you’ll be completely reliant upon them to control the plane. In Flight Instructor Joe’s blog post, he goes over what you should look at when completing an IFR instrument check, including Pilot heat, a compass check, and more. Head over to his blog to read the complete post. Egotistically I assumed I was assisting in creating a set of priorities that might be used by people like YOU. But I doubt that, if tested, you can replicate even 50% of that list we safety “professionals” worked diligently to build. Perhaps you can guess a few of the items like “Fatigue” (Number 9) or “Impact of Technology” (Number 6) because those challenges are beaten into your head. These leaders who think deeply about YOUR safety can repeat the list and they know why each challenge is included (and which were left off). Through the process of creating the list they renewed the focus on thorny challenges. And these leaders are now working as teams on the processes and tools that might just save a life or two. To read his entire post, head over to the Keltner Aviation Safety Support blog. November is winterizing month, making it time to prepare your aircraft for the colder days ahead, whether you plan to use it throughout the harsh months, or if you plan to store it. Storing your aircraft in a hangar where it will be protected from the bitter weather is the best, but there are some things you should do whether it will be in a hangar or at in outside tie-down. It is good habit every year to go through a quick check list of the steps you must take to maintain your aircraft’s peak efficiency through the winter. Before you put the plane away, do a short flight on the oil to ensure that all of the parts of the engine are supplied with new oil. During the winter months, consider using a multigrade oil, especially if you do not have any pre-heat equipment and/or plan on flying into colder climates. Multigrade oils don’t eliminate the need for pre-heating; they only give you an extra margin of safety during cold start conditions. 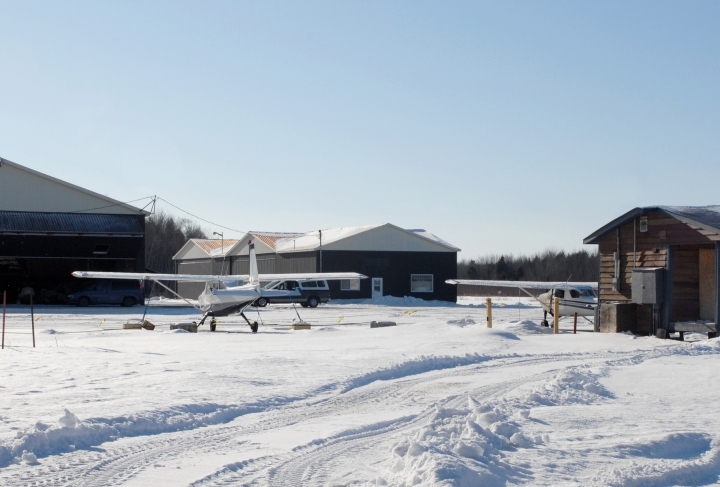 This list is not a complete list of all things needed to prep your small aircraft for winter. Consult your manual, or for a more comprehensive list, check out AVWeb‘s for more recommendations. In business since 1982, Aircraft & Marine Insurance Agency, Inc. specializes in aviation and aircraft insurance, hangar insurance, and boat insurance. Our unique team is comprised of licensed pilots, former aircraft insurance underwriters, and boating enthusiasts. We handle insurance within the U.S. and internationally.